The Beantown Bloggery: Dancing Under the Stars at Seaport - Tonight! Dancing Under the Stars at Seaport - Tonight! WHAT: Beginning September 9th, the Seaport Boston Hotel & Seaport World Trade Center will begin hosting ‘Dancing Under the Stars at Seaport’ on Friday evenings. This event is for anyone who loves to dance or wants to learn! 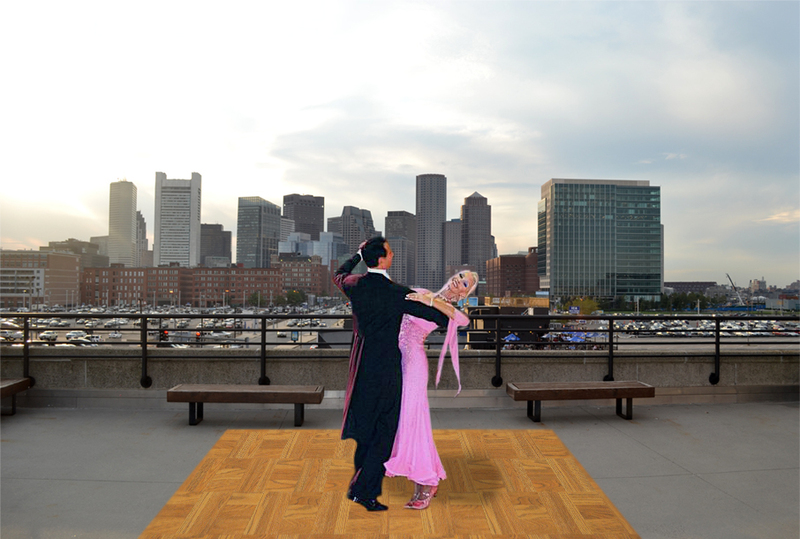 Come ballroom and Latin dance under the stars on the bridge connecting the Seaport Boston Hotel and the Seaport World Trade Center, surrounded by spectacular views of downtown Boston, the Seaport District and Boston Harbor! Seaport will be partnering with Ballroom Dance New England (www.ballroomdance.net), operated by some of the world’s best ballroom and Latin dancers. Ballroom Dance New England will offer a half an hour class from 7:30-8:00 PM, and will be available for tips throughout the evening. Dance hosts will also be available for those without partners. Tasty treats and beverages created by Seaport’s culinary team will be available to sustain the dancers. Well-known ballroom and Latin DJ’s K&S Music will be spinning tunes. Their musical selections will show that ballroom and Latin dance can be done with traditional music but you can also Tango to Rihanna, Cha Cha to JLo and do an unforgettable Samba to the Black Eyed Peas! TICKETS: $25 per person; includes parking in the Seaport Hotel Garage, food and non-alcoholic beverages; cash bar available. 0 Response to "Dancing Under the Stars at Seaport - Tonight!" Vote for Me! Vote For Me NOW! Presale: Comics Come Home 17 - Starts Tuesday!